A fine macro scene of lichen. 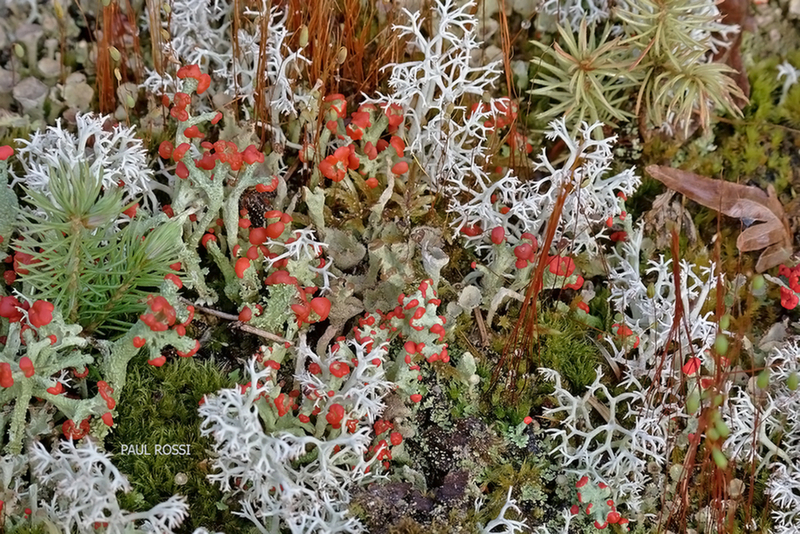 The red tipped lichen is British Soldier lichen. Colorful and painterly. Very nice image. Excellent light and DOF. I find this evocative of an aerial shot of a forest. I agree. So much to feast the eyes on here, Paul. Wonderful detail and colours.